Game Developers Conference is coming up next month! Planning to attend? Well, who isn’t! Bringing together 28,000 attendees to exchange ideas and shape the future of the gaming industry, GDC is the world’s largest professional game industry event. With 750 lectures, panels, tutorials, and roundtable discussions, gaming folks from all around the world are gathering ever March at the Moscone Convention Center in San Francisco. Pro Tip: Follow along on Gamasutra’s dedicated #GDC2019 live coverage page to make sure you don’t miss any breaking news, developer sessions, and interviews throughout the course of the whole GDC week. For more live-streaming, you can also check out the official GDC Twitch channel. We wouldn’t miss it for the world! 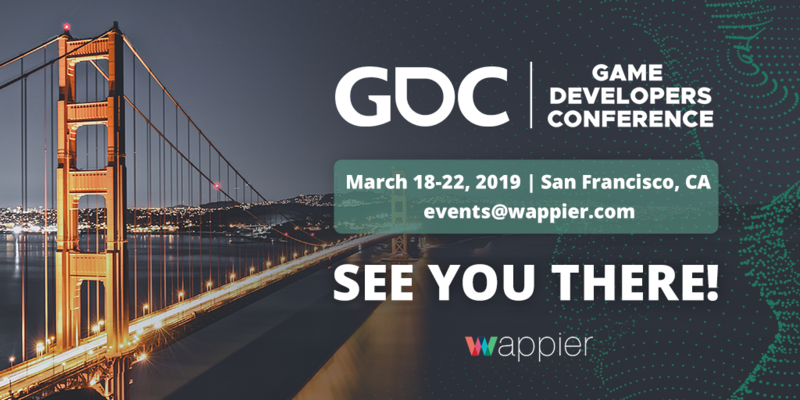 Alex Moukas, Founder & CEO of wappier, and Ted Verani, VP of Business Development, will be at GDC this March. Send us a note at events@wappier.com if you want to meet them while there! 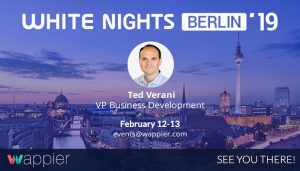 Previous PostGoing to White Nights Berlin 2019!